We think Brainiac had something to do with it. It happens to the best of us! Thankfully, we’ll still get to see some Lego Batman 3 gameplay in tomorrow’s DC All Access, and hopefully there will be more to check out from the game before E3 concludes. Get your news and reviews about all kinds of Bat-media right here From the Batcave and be sure to like From the Batcave on Facebook and follow us on Twitter and Tumblr to get the scoop first! 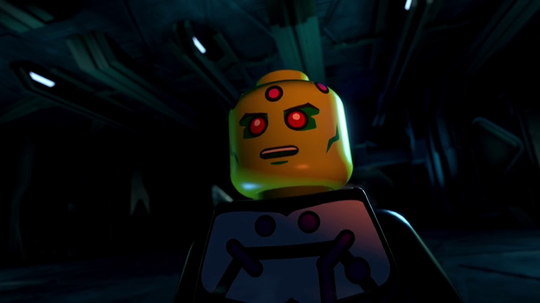 First Lego Batman 3 E3 Reveal: Big Figure Cyborg!